Over St Patrick’s Day weekend, I had the opportunity to run in my first out of town race. It was the Publix Georgia Marathon/Half Marathon held in Atlanta, GA on March 18, 2012. 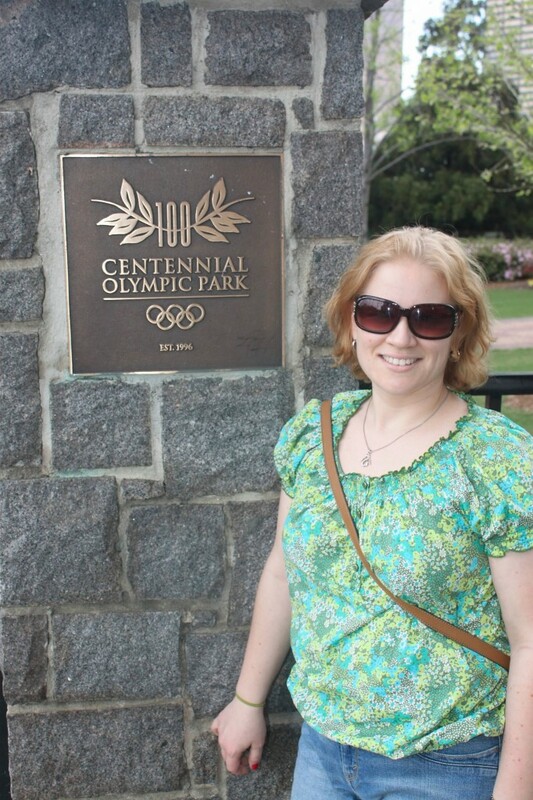 The race began and ended in historic Centennial Olympic Park. This was the site of the 1996 Olympics – a place I dreamed of going when I was younger. I was so excited and nervous. This was my second half marathon, so lots of things were going through my head as I prepared for this race. Would I get a new PR or would my lack of running during the winter take a toll? I wanted to have a better time but had I trained enough? Was I ready mentally and physically? Plus, I was going to be running alone in a strange town when I was used to running in the Kansas City area with friends that pushed me to do better. I didn’t have anyone at the finish line or in the crowd cheering for me. My husband and my mom have always been there supporting me – who would be my cheerleaders? Both my aunt and uncle were also running this race, so I had to rely on complete strangers to motivate and push me whenever I needed encouragement. I stayed with my aunt and uncle and had plenty of rest, relaxation, shopping, eating and drinking in the days before the race. I was pumped and nervous when race day arrived. We attended the Expo at the Georgia World Congress Center in downtown Atlanta and stayed at the Omni Hotel at CNN Center. The expo was the largest that I have attended so far. It was definitely a good experience and I picked up several freebies. The hotel was nice and we enjoyed the “carb loading” pasta dinner experience offered. The best part about staying at the hotel was being able to sleep later and just walk outside the door to the start line. We didn’t have to worry about parking or getting lost. The race began in Centennial Olympic Park and continued along the streets of the Georgia State University campus, the Martin Luther King Jr. Historic District, the Georgia Tech campus and several parks and historic neighborhoods in Atlanta as we made our way back to Centennial Olympic Park. It was a beautiful course and the weather was wonderful (despite it being warmer than normal). 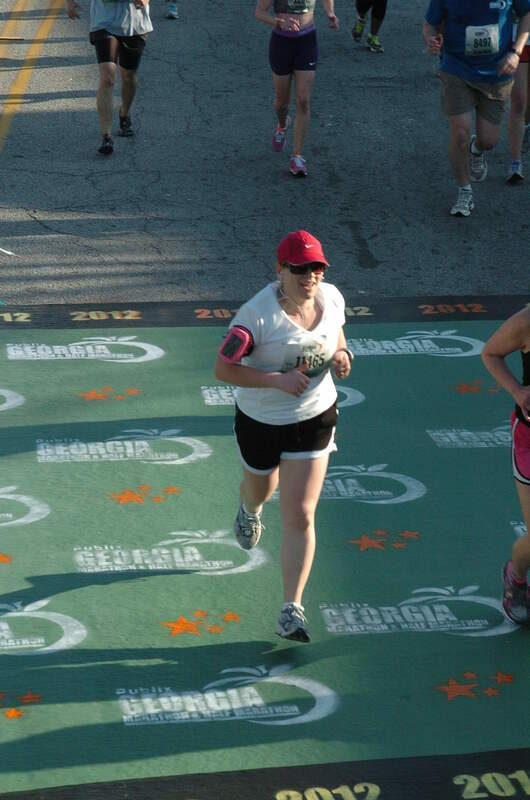 I learned many lessons about running (and myself!) during my trip and I hope that it makes me better prepared for future races. I didn’t get a new PR or do as good as I wanted, but I still had a great experience and a great run. I have already signed up for next year’s race and am looking forward to it. One of the lessons learned during my trip was that Atlanta is not a place where you can find green beer on St Patrick’s Day. I guess it is a good thing that I don’t drink beer!